One of the reasons why periodontal disease is so prominent is because the bacteria that cause it naturally inhabit the healthy human mouth. In many cases, these microbes can accumulate and irritate gum tissues before it becomes noticeable, leading to the development of gingivitis (the first stage of periodontal disease). Because the condition is progressive, the only effective way to address it is to remove the harmful bacteria while boosting your periodontal tissues’ ability to fight them off in the future. To achieve both goals, many patients can benefit from holistic periodontal care in the forms of ozone (or oxygen) and platelet-rich therapies. Controlling harmful oral bacteria is vital to preventing and managing periodontal disease. Yet, the bacteria that cause it accumulate underneath your gums, making the process more complicated than simply cleaning plaque and tartar off of your teeth. Ozone therapy is the concentrated application of oxygen to affected areas of your gums, allowing the oxygen to eliminate the anaerobic bacteria. Ozone therapy can be performed to reduce your heightened risks of periodontal disease, or to help successfully manage it if the disease has already developed. Because periodontal disease is so common, it may seem like your gums are almost helpless in the face of harmful oral bacteria. However, like your teeth, your periodontal tissues have an enormous ability to heal, thanks largely to the platelets in the blood that circulates through them. For many patients with periodontal disease, platelet-rich plasma can give their gums and oral tissues a much-needed boost in their disease-fighting and healing abilities. Using the tissues’ own growth and regenerative abilities platelet-rich therapy can help save healthy periodontal tissues from severe damage due to disease. 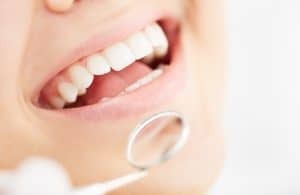 Maintaining your periodontal health is an ongoing process, and holistic treatments like ozone and platelet-rich therapies help make that process a more successful one. To learn more, schedule a consultation with Dr. Kania by calling her periodontal office in Encinitas/San Diego, CA, at (760) 642-0711.